Try out the latest training techniques, including our functional Freestyle™ training area and a wide selection of group exercise classes at Fitness First South Point Mall, Gurgaon. Located on the 3rd floor of South Point Mall on Golf Course Road, Gurgaon this club is designed to offer 100% fitness. Featuring the latest and most effective fitness trends, the best fitness equipment and the most progressive programs. Our new Fitness First Platinum Gurgaon club features an all-new international freestyle training zone for movement based training. Members will enjoy the challenges of a 40 ft. dash track coupled with exciting new equipment such as the Synergy 360 and multiple Kinesis stations designed for 3D functional training. The Group Exercise studio is equipped to offer programs such as Group TRX along with other popular classes including dance, yoga, mix martial arts and Les Mills favourites such as BodyBalance, Body Combat, BodyPump and CXWorx. The freestyle training menu has ViPR, Bosu, Kettlebell and TRX. The club features an all-new E-Bike studio offers customized workouts as well as group and virtual classes. Try us, get a free 1 day Guest Pass! 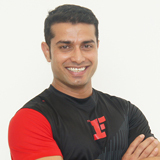 The Fitness First South Point Mall Gurgaon team of trainers and instructors are highly skilled across various fitness disciplines. And they're here to support our members, every step of the way. 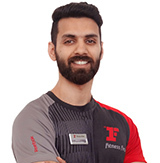 You’ll find the right mix of equipment, classes and experts to help you reach your fitness ambitions at Fitness First Platinum South Point Mall Gurgaon. From dedicated Freestyle™ areas and group workout studios to personal training sessions, we offer a dynamic fitness environment that keeps members motivated. Weight Management, Muscle Conditioning, Sports Performance & Conditioning, Cardiovascular Conditioning, Building Agility and Flexibility. 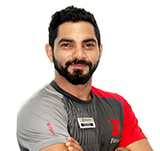 Master Degree in Physical Education (Sports Training & Sports Medicine), Bachelor in Physical Education, Reebok Certified Fitness Trainer in Step, Hi Low and Conditioning, Less Mills Trainer for Body pump, Certified Personal Trainer Fitness First IN. Healthy mind resides in a healthy body. Pre and Post Natal Exercises, Cardiovascular Rehabilitation, Weight Management, Post Traumatic Rehabilitation. 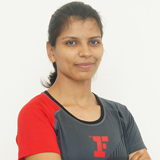 "Masters in Physiotherapy, Dehradun, Bachelor in Physiotherapy, Mangalore , Certified Personal Trainer, Fitness First IN, CPR Certified from Nightingale Medical Trust, RMT Certified, Fitness First, BOSU Certified. Kick Boxing Training, WUSHU Training, Boxing Training, Functional Training, Muscle Conditioning, Muscle Building, Fat Loss, Strength Training. Fitness First P.T. 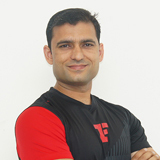 Foundation Course, Bachelor of Physical Education,Diploma in Nutrition and Dietitian Foundation and wellness Certification in YOGA, Morarji Desai, N Delhi. Train Your Mind, Work Your Body, Lift Your Soul. Postural Correction, Functional Training, Sports Specific Training, Trx Training, Bosu Training, Kettlebell Training, Viper Training. Bachelors in Physiotherapy, Trx Certified, Vipr Certified, CPR Certified. My training will help you to correct your posture and improve your activity in daily life. Functional Training, Weight Management ( Fat Loss, Muscle Mass Gain ), Sports Specific Training,Postural Correction. 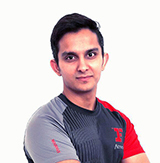 International Sports Science Academy Certified Personal Trainer, TRX Certified, BOSU Certified, Barefoot Certified, Fitness First Certified Personal Trainer. Specialized in Program Design and implementation according to your desired goal and fitness level to deliver best result in shortest possible time. Eating for health, Diabetes(Type 1,Type 2), Food intolerance and allergies, Clinical nutrition, Thyroid disease( hypo n hyper thyroid), Pcod therapy, Obesity, Digestive problems(Inflammatory bowel disease,Irritable bowel syndrome ,gastrointestinal ), Women's health and Building muscles. Specialist in balance diet plan during workout plan. Also believe in fat loss during weight loss management. Helping members to boost up there metabolism by guiding them to eat every two hours of interval.muscle building diet plans for body builders. PGDM IN DIETICS N CLINICAL NUTRITION, SPORT NUTRITION , IBS THERAPY, DIABETES TYPE 1 and 2. Just does not believe in food but have a watch in calories carbs, protein, fat, minerals and vitamins. Posture Correction, Flexibility Training, Core Stability Training, ViPR, Weight Training, Fat Loss,Weight Gain. GOLD'S GYM Personal Training Certified, Fitness First Certified, ViPR Certified, CPR and AED Certified. Functional Training, Weight Management, Postural Correction, Fat Loss, Circuit training. Certified Personal Trainer Fitness First, Pursuing ACE, CPR Certified. Get fit …. Don’t Quit. Strength & Endurance training, Weight management. 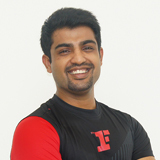 Certified Personal Trainer(ACE), Fitness First Certified Personal trainer. CPR Certified. Take care of your body now because it's the only place where you have to live your entire life. Sports injury, Functional rehabilitation, Joint mobilization, Fat Loss, Weight management, Postural analysis, Trigger point specialist. 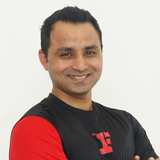 Certified Personal trainer from Fitness First, Pursuing ACE, Workshop from NASM and FSSA of Postural and Gait analysis, Special population, Mobilization technique, Sports injury and Functional rehabilitation. 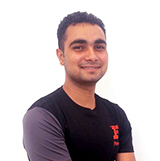 Certified personal trainer from Fitness First and Gold's Gym(GGU), Pursuing ACE, Workshop from NASM and FSSA of postural and gait analysis, Special population, Mobilization technique, Sports injury and Functional rehabilitation. Fat loss, Weight management, Functional training, Strength and DMT training. 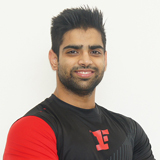 Certified personal trainer from Fitness first, FGT HIIT and Strength Certified. It's actually pretty simple either you do it or you don’t. Metabolic disorders, Fat loss, Weight management, Renal disorders, Functional training, Lean Muscle Gain. 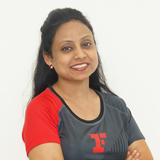 M.Sc Nutrition & Dietetics (Gold medalist), Certified personal trainer from Fitness First, Worked with UNICEF in supplementation program, Workshop at Tsukuba University (Japan), Trained by Asian Institute. Don't dream for that body, work for it !